Provide your students with hands-on reinforcement of key concepts in water quality and water treatment with this test kit. Includes a teacher’s manual with lesson plans, background information, and reproducible student procedure and data sheets. 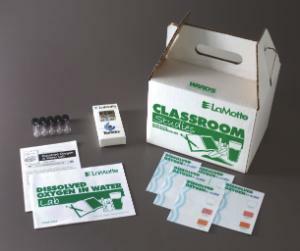 Contains enough materials for a total of 25 tests. The kit will measure 0, 4, and 8 ppm.